HotForex is a worldwide online forex and commodities broker. Offers various accounts, trading software and trading tools to trade Forex and Commodities for individuals, fund managers and institutional customers. Retail, IB and White Label Clients have the opportunity to access interbank spreads and liquidity via state of the art automated trading platforms. 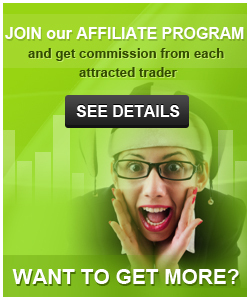 Hot Forex is a worldwide STP/ECN online forex broker. 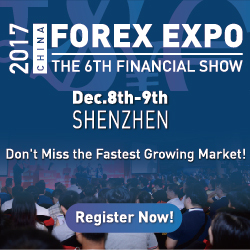 The company offers various accounts, trading software and trading instruments to trade Forex for individuals, fund managers and corporate customers. Based in Mauritius and supported by our worldwide Customer Management Centre’s, HotForex offers Retail, IB and White Label Clients the opportunity to access interbank bank spreads via state of the art automated trading platforms. The progressive and dynamic management team has many years of active trading experience with a number of platforms and in various markets. Through its own personal and corporate experiences the company realized that the traditional web based forex brokers would be placed under increased pressure due to their delays in trade executions, frequent system failures and ultimately poor customer service. This is what HotForex will look to rectify (wishes to rectify) through high end technology products, low cost commissions and unrivalled customer service. Happy Holidays from the HotForex Team! It is that time of year again and HotForex has 10 generous CASH prizes up for grabs in our festive Free-For-All Trading Tournament! Plus, the Top 3 ranked traders will also receive an Apple iOS device that will make trading on-the-go as easy as 1-2-3! Every month the Top10 traders will be featured on the HotForex traders Awards Page. This will serve as Tribute to our Top Traders. The number one Trader will be awarded the HTA crystal obelisk award and a $1000 cash prize as a showcase to the superb skills that lead to an excellent performance. The Top10 traders will also be awarded an online certificate which will serve as a testament to their hard work and highly refined trading skills. The HotForex ‘Virtual to Real’ Demo Contest is a contest only held on demo accounts. Therefore, there is no monetary risk for the participants but the cash prizes awaiting the winners are real! Furthermore, by offering this demo contest we allow our clients to master their trading skills with no risk but also get real money prizes! Please read our Terms and Conditions. A one-to-one, 3-hour professional Forex trading training session with our Chief Market Analyst Janne Muta and a guided tour of our offices. A Cash Prize of $5000 awarded upon completion of the training session. Business Class, round-trip air tickets. A 3 night stay and a relaxing massage at the 5-Star Amathus Resort, one of the most exclusive hotels on the Limassol beach-front. But in the other hand if your trading account has been already dealt under another IB ID, then you need to create a new trading account through his/her HotForex Area & on the Introducing broker field he/she will need to enter ForexRebate.me IB ID, Our IB ID is 54797. I am new to this broker but not new to trading coz i just wanted to add one more broker in my trading list. I am using the pamm which is really doing great and the starting amount is also very little (100usd) which i deposit in the Hotforex PAMM every month. Returns are also good and money is withdrawn easily upon request. As per my experience these services can be checked by anyone who wishes to earn good returns on investments. I am satisfied with the services of this broker. I started trading in late 2015 and since then i have been able to make good returns on the amount i had invested in 2015. I did availed the bonuses, traded during NFP and that profits were also an additional bonus which i only able too made because of their easy execution and no requotes. The withdraw is also processed easily. The support team is also quite responsive and they usually respond within the same day. I really recommend trading with this broker. I am running a forex blog as an IB and hotforex is the broker that pay highest rebates for traders and IB also the number of clients. Nice broker! I am trading with this broker. Its trading conditions are better than most of brokers. I`m new to forex and I open account with hotforex to test them with small deposit. Last month I opened a account and I have received Bonus money for my deposit. I earned some profits after 2 weeks. I requested a withdrawal from them and they processed my payment in day, no deduction withdrawal fee, and fund was in my Skrill account in next day. Currently I am having an EA written for trading and the backtest result with this broker was quite good, I would bring it on market soon and back with a detail review. I agree with Samuel. I like 30% bonus! I have an account with hotforex and can rate their services as OKAY. Trading is my parttime business, so I tried them only on mini account. Spreads are satisfactory, average 1.3 pips during normal order flow. Quite good for micro account. Execution is also fast and swiftly, sometimes lags 1-2 second, but I believe that it is because of my slow internet. Regarding customer support, I can say that they are really supportive. Once I swamped them with specific questions and they capably answered them. I satisfied with their services. I have researched this broker for a long time before opening a live account there. and Now successfully trading with them. Who have a good knowledge and have a good experience they earn all the time. Thursday and Friday are most volatile day to me. . HotForex provides perfect analysis for making profits easily. This is why I love trading with this broker. They have very good bonuses 30% 50% and 100% !